Read our recent Verdicts & Settlements. 18-Wheeler accidents refers to any encounters between large trucks (vehicles weighing more than 10,000 pounds) and moving passenger vehicles, other trucks, parked vehicles, or pedestrians. More and more trucks are on the road and crashes or involving 18-wheeleer trucks are on the rise– nearly 20% over the past decade. Mississippi has a thriving logging industry which means that 18-wheelers, big rigs and mack trucks loaded down with lumber are traveling on highways and interstates in Mississippi from Meridian, to Vicksburg on I-20 and from Jackson to Hattiesburg to Gulfport on Highway 49. These big trucks throw more than just pine needles, sometimes they drop whole trees into oncoming traffic causing wrecks due to inproperly secured loads. In 2012 alone, nearly 460,000 large trucks were involved in traffic crashes, in which 5,100 people were killed and an additional 140,000 were injured. The number-one cause of fatal and serious injury is driver error. In statistics provided by the Federal Motor Carrier Safety Administration, driving errors were made by 38% of truck drivers involved in fatal crashes. In the aftermath of a truck accident, you will likely be in pain and quite often in shock. While experiencing the range of emotions and physical pain that surrounds a truck accident, it can be confusing to know what steps to take to protect your legal rights. The following is a list of do’s and don’ts that every Mississippi truck accident victim should abide by. Adhering to this list will ensure you comply with the law, receive proper medical care, and maximize your later chance at a full recovery. Get to the nearest safe location: If you have been involved in a truck accident on a Mississippi roadway, it is imperative you move yourself and your vehicle to the nearest safe location to prevent further injury or accident. This will generally be to the nearest soft shoulder. Do not, however, leave the scene of the crash under any circumstances. Fleeing the scene of an accident is a criminal offense in Mississippi and can result in serious penalties. Call 911: Call 911 or local law enforcement as soon as possible after a truck accident, even if the crash was a fairly minor one. A police officer will arrive shortly to the scene of the accident and complete a police report. The report will be based on an examination of the scene and interviews with the drivers and witnesses involved. This police report can prove crucial to your later recovery for personal injuries or damages, so it is always best to call 911 after an accident. If for some reason a report is not made at the scene, go to the police station as soon as possible to report the accident. Receive medical treatment: If you have been involved in a truck accident and could have suffered any sort of injury, it is best to seek medical treatment right away. Some injuries may not be evident for hours or even days after a crash. The earlier you seek medical treatment, the sooner you can get the medical attention you require and the better your chances of recovery. Retain the assistance of an experienced truck accident attorney: Truck accidents often involve serious injuries and will also involve complex issues of law unique to the realm of commercial vehicle accidents. An experienced truck accident attorney will initiate a complete investigation into the cause of your accident and fight for your maximum recovery. Discuss liability for the accident: You should never engage in discussions of liability, whether it be with other drivers or the police, following a truck accident. Liability is a legal conclusion which you cannot make and discussions of liability can harm your later recovery. Speak with your attorney before addressing the complex legal issue of fault. Feel pressured to accept an initial truck accident settlement offer: You will likely be approached by an insurance adjuster who will push you to accept a quick settlement. Never accept such an offer without consulting with a truck accident attorney first, as the initial settlement offer will generally only cover a small portion of your losses stemming from the accident. The Mississippi Truck Accident Lawyers at Giddens Law Firm, P.A. urge anyone who has been injured truck accident to contact our firm immediately. Our experienced truck accident attorneys will examine your accident and guide you through the legal process to a full recovery. Our case reviews are always free and confidential. Call us today at (601) 355-2022 to see how one of our skilled truck accident attorneys can help you. One woman was injured recently when her car collided with a tractor-trailer on Highway 28. The car sustained heavy damage, and the truck was also damaged in the crash, which released quite a bit of diesel fuel onto the roadway. Fortunately, the woman appeared to have received minor injuries, and the driver of the truck seemed to be uninjured by the wreck. Whenever there is an accident involving a tractor trailer and another vehicle, it is important that the driver of the other vehicle know that accidents involving tractor trailers are different than accidents involving two vehicles that are not tractor trailers. The difference goes beyond the sheer size of the truck and its potential to cause larger amounts of damage. When there is an accident involving two passenger vehicles, there are only two parties, the two drivers, involved. When a tractor-trailer gets into a wreck, there may be other parties involved besides the two drivers because the driver of the truck may not be the truck’s owner. The owner of the truck is also a party to the accident, and the owner is usually a business entity. Drivers should be aware that since tractor trailers are often owned by business entities like trucking companies, those companies often have accident response teams that go to the accident scene and collect information on their behalf. If you get into an accident with a tractor trailer, do be sure to cooperate fully with the police and with other authorities, but be wary of individuals who are part of the accident response team. Those people are working on behalf of the trucking company, so they are at the accident scene looking for information that will help their client’s position, which is opposed to your best interest. There can be even other parties involved in a tractor trailer accident case, especially if the crash was caused by defective maintenance, defective parts or a manufacturing defect. The array of parties that could potentially be involved in a personal injury case where there has been an accident between a tractor trailer and a car can make resolving claims related to those cases rather complicated. Fortunately, a knowledgeable personal injury and accident attorney can navigate the complexities of the claims process and pursue the best possible result for you. The Mississippi Personal Injury Attorneys at the Giddens Law Firm, P.A. understand the complexities of accidents involving passenger vehicles and tractor trailers. After an accident, you may need time to recover from your injuries and the prospect of filing a claim for damages against multiple parties may seem daunting. Fortunately, you do not have to file your claim for damages all on your own. We might be able to help you pursue a claim for damages in your trucking accident case. To learn more about how we might be able to help you, please call our office today, at (601) 355-2022. A recent accident involving an SUV and a UPS truck killed one person and injured four others. The crash happened on Highway 84, and the impact sent both vehicles off of the roadway and onto the westbound side of the road. The collision severely damaged the rear passenger side of the UPS truck and the front end of the SUV. The woman who died several hours after the wreck from life-threatening injuries that she sustained in the crash was a passenger in the front seat of the SUV. The driver of the SUV and two other passengers were injured in the accident, as was the sole occupant of the UPS truck, its driver. Many Mississippi residents and businesses send and receive deliveries at their homes and offices. UPS, FedEx, and other delivery trucks are a common sight on both highways and local roads. Some of these delivery trucks are eighteen wheelers, which usually travel on the roads to transfer packages among distribution centers throughout the country. The package delivery trucks that you often see on local roads are smaller than the eighteen-wheelers, but those smaller trucks are often heavy. 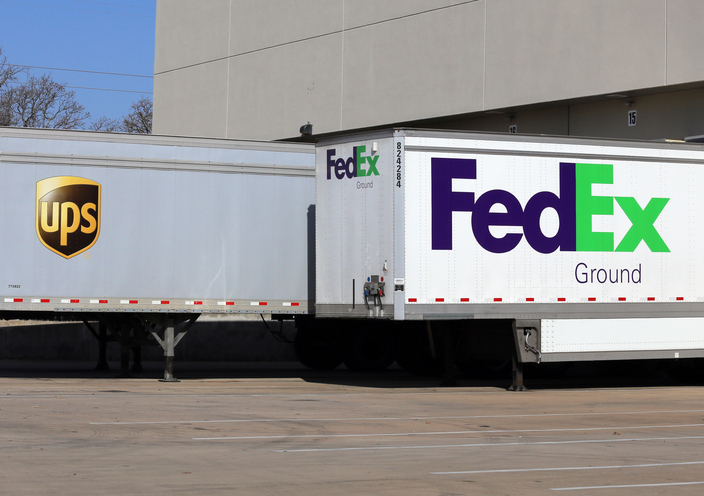 Many delivery trucks can carry loads that weigh up to eighty thousand pounds. Delivery truck drivers are very busy all of the time, and during their working hours they try to balance safety with speed and deliver all kinds of items to all sorts of places on time. The size and weight of delivery trucks mean that there is likely to be lots of personal injury and property damage if a delivery truck is involved in a wreck. Delivery truck drivers are also at greater risk for injury than drivers and passengers in other vehicles because of the way that their trucks are designed. Many of us have seen delivery trucks with doors that remain open while the driver makes his rounds. This feature makes work easier for the delivery driver, but it also increases the risk that they will get ejected from the truck in a crash. Delivery truck accidents are trucking accidents, and they are slightly different from accidents involving only passenger vehicles. Delivery companies often dispatch accident response teams to collect information at the crash scene. Drivers and passengers should be aware that the crash response team is working for the delivery company. They do not have your best interest in mind. You do not have to speak with them, so be polite and courteous while saying as little as possible. Also, you might get contacted by the delivery company’s insurer shortly after the crash. They might offer you a settlement, but it is not a good idea to accept it until after you have talked to an attorney. If you got hurt or someone that you love died in an accident involving a delivery truck, you may be wondering what you should do. The Mississippi Trucking Accident Attorneys at the Giddens Law Firm, P.A. can help you pursue a claim for damages related to the crash. To learn more, please call our office at (601) 355-2022 to schedule an initial consultation. A truck driver who is suspected of driving under the influence of drugs has been postponed in light of the discovery of additional evidence that must be analyzed before the trial can take place. A blood sample got taken from the truck driver when he was involved in a crash that killed six people. The truck driver slammed his semi into eight other vehicles that had stopped in traffic that was caused by road construction. The truck driver’s blood was tested at two different laboratories at two different times, with differing results. This terrible accident is a sobering reminder that although most of the truck drivers that we share the roads with every day take their work and job safety very seriously, there are some truck drivers who engage in dangerous behavior that can interfere with their ability to safely operate their trucks. The long hours and demanding working conditions that truck drivers experience can make them very, very tired. Drowsy truck drivers sometimes get into accidents, and many truck drivers have a preferred strategy for dealing with tiredness when it happens. For example, following the hours of service regulations can help drivers begin their shifts well rested and alert. Many truck drivers take naps during the day to refresh themselves and give their eyes a rest. Some drivers take the time to stop throughout the day for brisk walks or other types of exercise breaks, which can increase alertness. Of course, no discussion of stay-awake strategies would be complete without mention of coffee, the constant companion of truck drivers and basically everyone else, everywhere. Unfortunately, the things that some truck drivers do to stay awake are illegal and they compromise the safety of everyone else on the road. The illegal stimulant drug methamphetamine, or meth, is easy for truck drivers to get. Meth can help drivers stay awake, but it can also cause hallucinations and vertigo. Meth also affects a driver’s reaction time and their depth perception – not exactly things you want happening while someone is driving a massive eighteen-wheeler. Also, people who are addicted to meth are at risk for increased incidence of health conditions like heart attack and stroke. These medical emergencies can occur suddenly, and they can cause an accident if the person having the heart attack or stroke is behind the wheel. Trucking accidents can happen anytime, anywhere. Trucking accident cases often involve multiple parties can become rather complicated, especially during settlement negotiations. If you got hurt or someone that you love died in a trucking accident, you may not know what to do next. The Mississippi Trucking Accident Attorneys at the Giddens Law Firm, P.A. might be able to help you and your family pursue a claim for damages related to the wreck. Working with a trucking accident attorney is the best way for you to increase your chance of a good outcome in your case. To learn more, about how we can help you, please call our office at (601) 355-2022 to set up a consultation. While all motor vehicle accidents can result in drivers and passengers experiencing devastating permanent injuries, trucking accidents present a disproportionate risk of serious injury, as well as unique challenges in seeking compensation. Because tractor-trailers can outweigh a small economy car by 25 times or more, the basic principles of physics dictate that such collisions are especially dangerous for occupants of a small passenger car. When large tractor-trailers are involved in fatal trucking accidents, the person who dies is an occupant of the other vehicle in over three out of four fatal collisions according to data from the federal government. Further, large trucks account for only five percent of registered vehicles, but they are involved in 11 percent of all fatal motor vehicle accidents according to the National Highway Traffic Safety Administration (NHTSA). Many trucking accidents in Jackson and throughout Mississippi are the result of truck drivers who violate these safety regulations with the tacit or express approval of the trucking company. When drivers use methamphetamines to drive longer shifts and disregard HOS rules, both the truck driver and trucking company can benefit from increase profits. Effective litigation of Mississippi trucking cases requires extensive knowledge of trucking regulations and industry practices because many cases turn on non-compliance with these types of safety regulations. Trucking litigation is also complicated because commercial carriers and truck drivers have no real incentive to preserve evidence that can be used to establish liability. Trucking companies often employ rapid response teams that can be dispatched to the scene of a tractor-trailer crash almost immediately. These trucking experts begin an immediate investigation so that they can develop a strategy for minimizing or evading liability. A successful Mississippi trucking accident lawsuit typically is contingent on promptly contacting experienced trucking accident lawyers. Our Jackson tractor-trailer accident lawyers promptly send written notice to the trucking company indicating that the semi-truck and data contained in the rig’s black box is the subject of litigation so it must not be destroyed or altered. When a truck is quickly repaired and placed back into service, this can undermine the efforts of accident reconstruction experts because the vehicle damage cannot be examined. When the rig is rapidly deployed back into service, this also can result in the black box data being erased. Because logbooks are routinely fabricated or manipulated to conceal non-compliance, black box data can be critical in exposing safety violation and establishing the cause of a trucking accident. The bottom line is that trucking litigation is complicated, so you should schedule a consultation with an experienced trucking accident law firm promptly so that you can explore your rights and remedies. If you or a loved one has been injured in a Mississippi tractor-trailer accident or a loved one dies in a semi-truck collision, you may be entitled to financial compensation for your injuries or loss. We invite you to contact our Jackson trucking accident law firm for a free consultation with a Mississippi semi-truck accident attorney. We invite you to call us today at (601) 355-2022 to see how we can help! If you or a member of your family is killed or seriously injured in a trucking accident, powerful trucking companies, their insurers, investigators, and lawyers will start work immediately to limit their liability. They are well organized and will fight aggressively to avoid paying you and your family the money you deserve. Here at Giddens Law Firm, P.A., our legal team is familiar with this type of complex litigation. The first week after an accident important physical evidence can be obtained or lost, and witnesses can be located to interview so that they do not forget important details. Thus, it is in your best interest for you to take action as soon as possible. We know how to gather evidence against truckers and large trucking companies and how to develop a powerful case to recover your damages. We have the skill to secure substantial settlements where possible and to win at trial when necessary. Experience Matters In Complex Trucking Accident Claim in Mississippi. If you or someone you know has been seriously injured in an 18-wheeler or tractor trailer truck accident, you will need to consult with a lawyer. Our attorneys are familiar with the specific laws and regulations that govern the Mississippi trucking industry including the Federal Motor Carrier Safety Regulations. 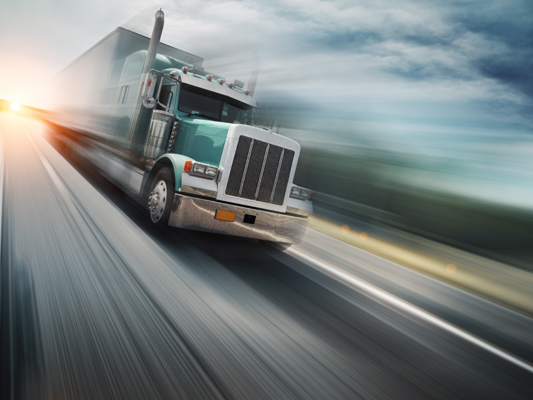 Overloaded freight, driver fatigue, and speed may be factors in any truck accident. State and Federal law regulates how trucks are maintained and drivers must fill out vehicle inspection reports. These reports can be crucial evidence that can help experienced counsel reconstruct the accident by establishing the condition of the truck. When your injuries are significant enough to cause a lifetime of pain and suffering, a quick settlement from the insurance company is never enough to cover the future costs in medical bills, suffering caused by the truck driver’s negligence. Catastrophic injuries such as amputation, paralysis, burns, brain damage or even death regularly occur in wrecks with big rigs and have life-long effects on you and your family. This is when you need the advice and counsel of a compassionate, experienced, legal advocate dedicated completely to your cause. Why Choose Giddens Law Firm For Your Accident Case? Giddens Law Firm, P.A. has built its reputation throughout the state of Mississippi by relentlessly preparing for trial, investigating any lead that might communicate to the jury, and use of vivid demonstrative evidence in the courtroom resulting in many significant jury awards and verdicts. Unlike many law firms, Giddens Law Firm, P.A. limits their legal representation to only a few serious Mississippi truck accident injury cases and death claims per year. This is enables their legal experts to focus the most time and resources on each case in order to yield the best possible results for their clients. Time is often not on your side, it is imperative you take immediate action as soon as possible, so please call us today for a free legal consultation and case analysis toll-free at 1-888-335-2022. Giddens Law firm is a boutique style of practice, offering clients a one on one client to lawyer experience. The firm only accepts a limited number of serious personal injury cases or wrongful death cases, allowing Mr. Giddens to give your case the attention you need and deserve. He has handled countless personal injury cases throughout Mississippi, Alabama, Louisiana, and more. Outside of the southeast, he has represented clients who even reside in countries such as Mexico and Canada. Mr. Giddens cut his teeth on trying tedious, challenging medical malpractice cases which often require huge numbers of man hours to resolve. If you or a loved one is in need of legal assistance, call Giddens Law Firm, P.A. at (601) 355-2022 or Toll Free at (888) 335-2022. The initial consultation is free of charge, and if we agree to handle your case, we will work on a contingency fee basis, which means we get paid for our services only if there is a monetary recovery of funds. View the entire Mississippi Trucking Accident Article Archives.